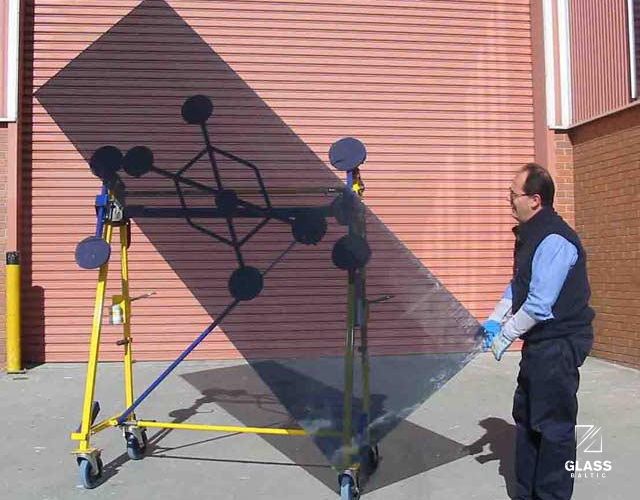 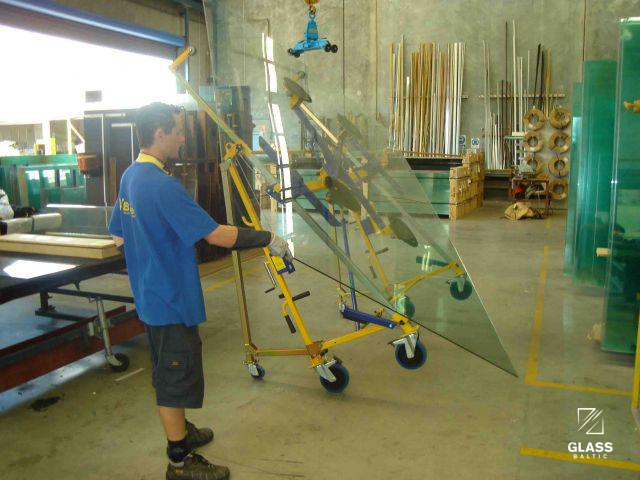 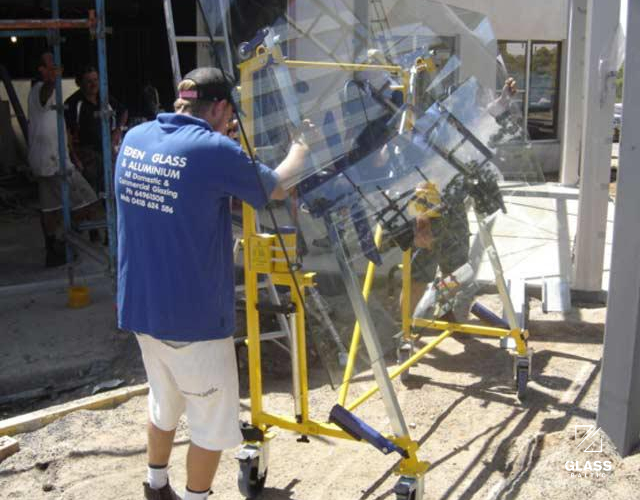 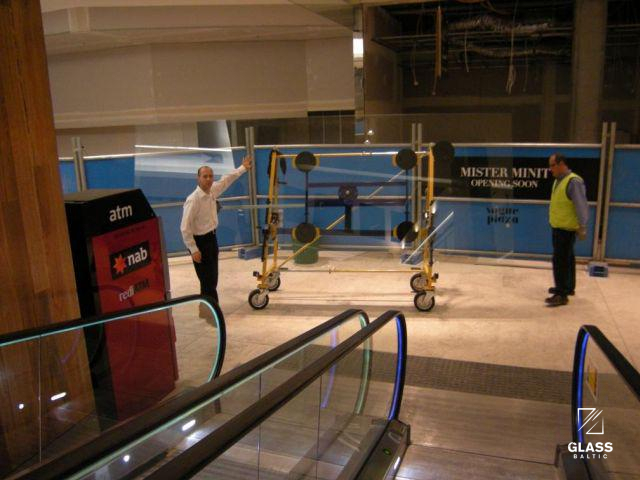 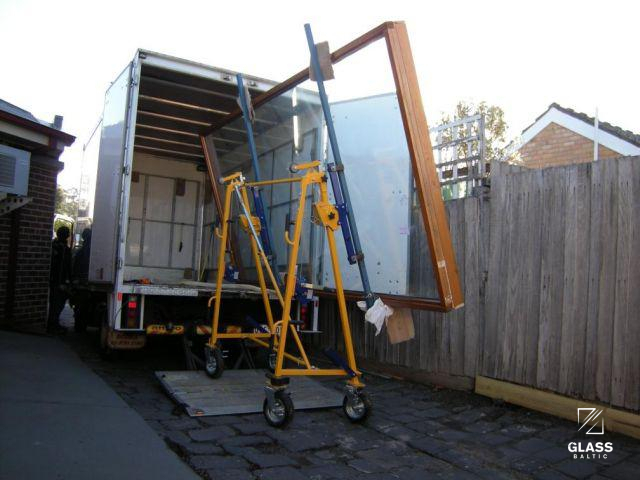 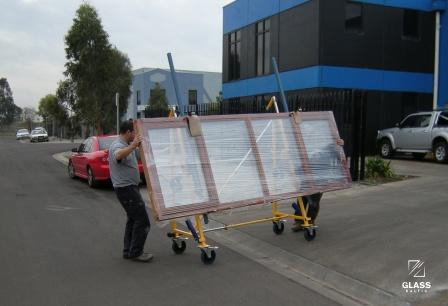 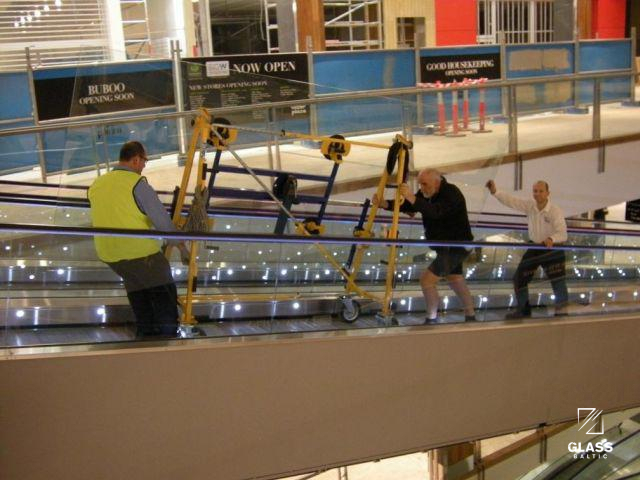 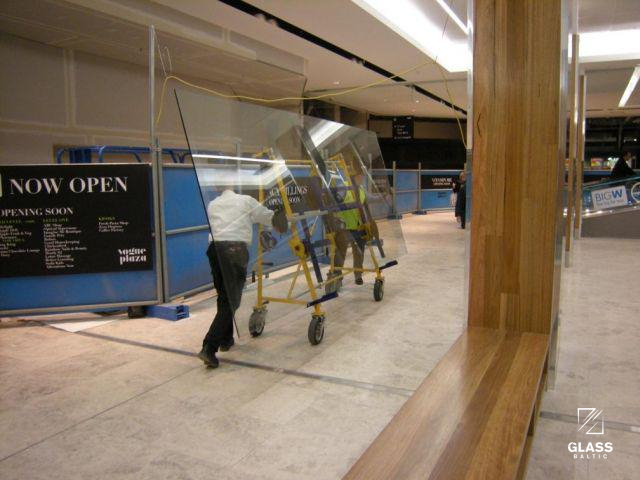 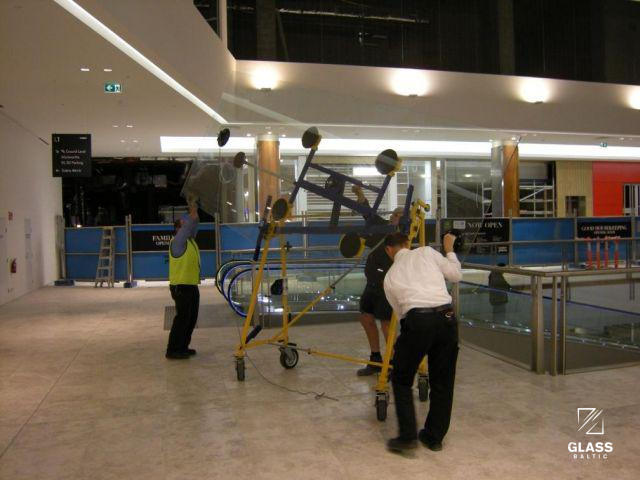 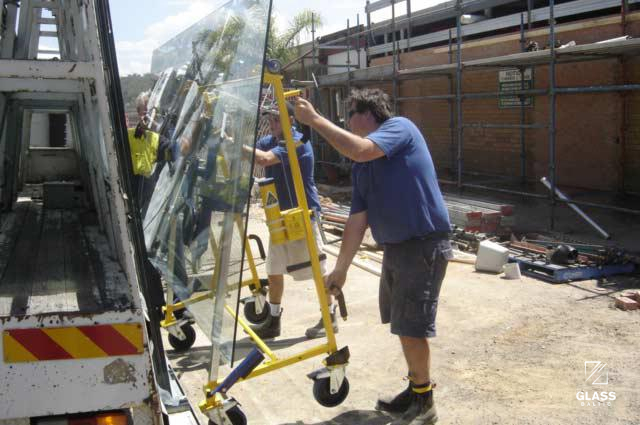 NOMAD 400 is designed to assist glaziers to unload, transport and install glass safely. 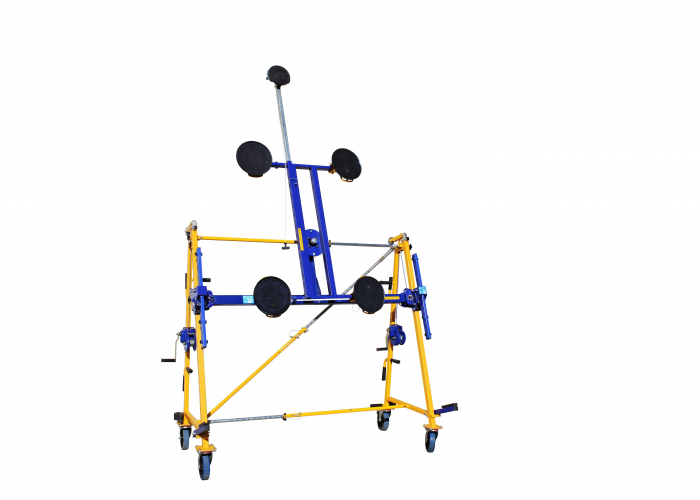 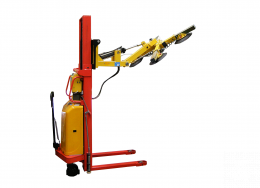 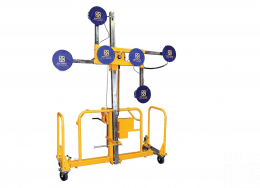 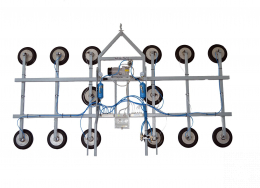 It has a lifting capacity of 400 kg. 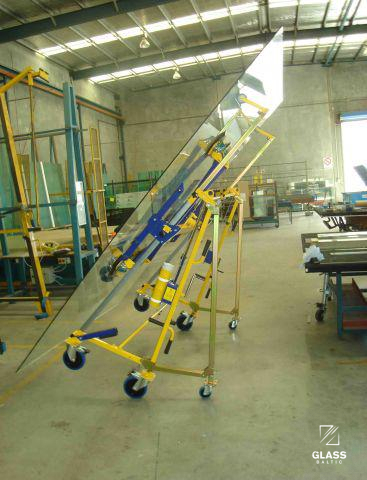 It can also rotate glass measuring upto 4400 mm. 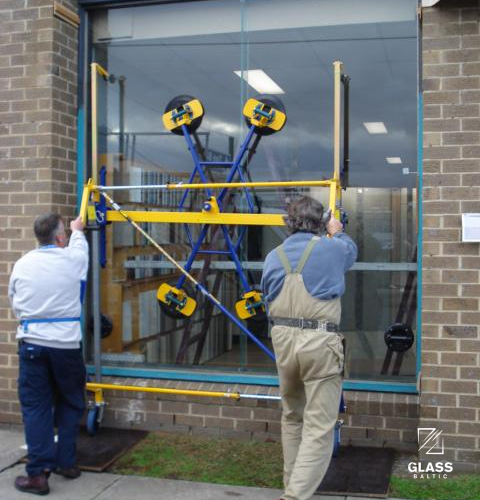 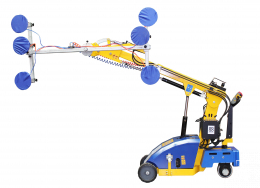 NOMAD 400 is the world's first patented labour saving, cost effective device which offers a safer option to the manual handling of glass, slate and board on site. 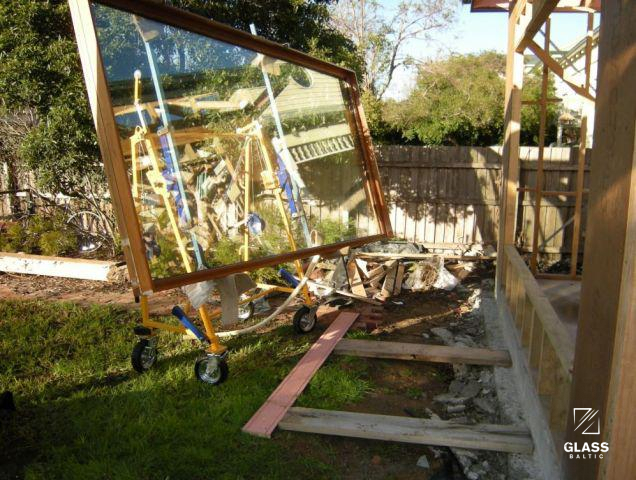 - rotates glass from horizontal to vertical. 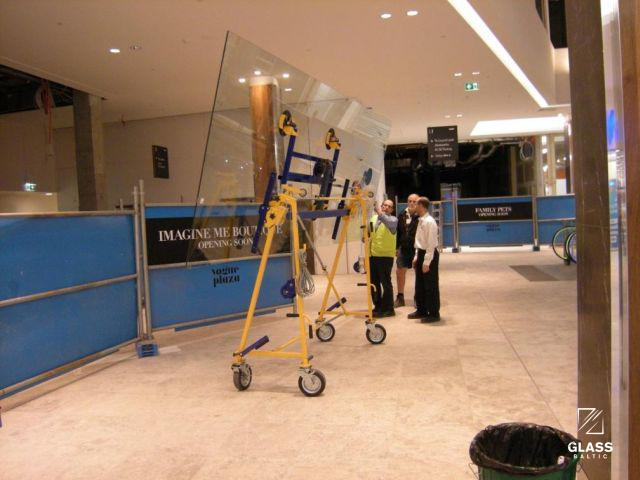 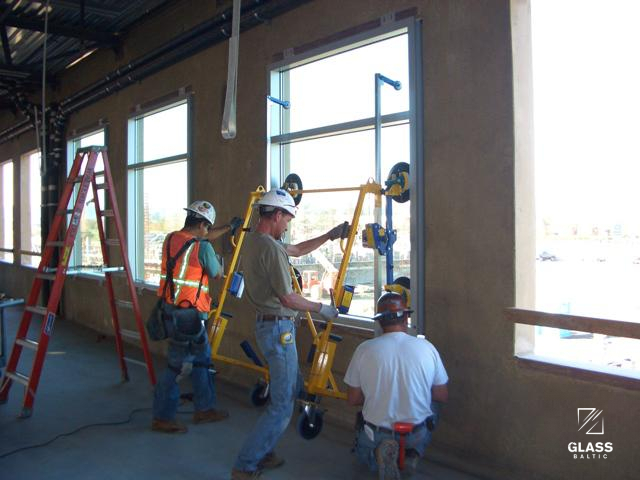 Rotating head is an attachment that easily mounts on to the NOMAD 400, enabling 2 glaziers to rotate glass 360º weighing up to 400 kg from the horizontal to the vertical, which is ideal for installing long narrow plates of glass in commercial applications. 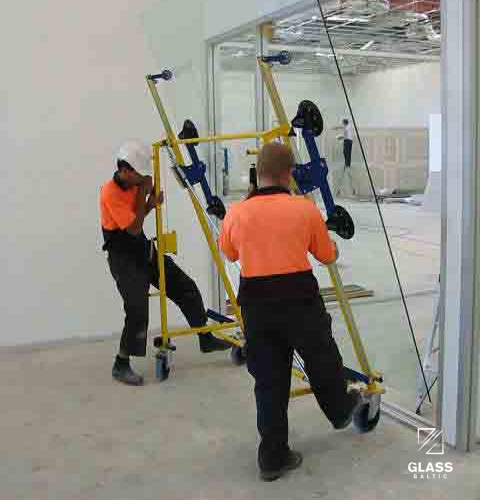 Outrigger Legs - these attach to the back of the NOMAD 400 to provide extra stability on uneven ground and allow the NOMAD 400 and glass to be tilted back 30 degrees allowing safe rotation of glass indoors. 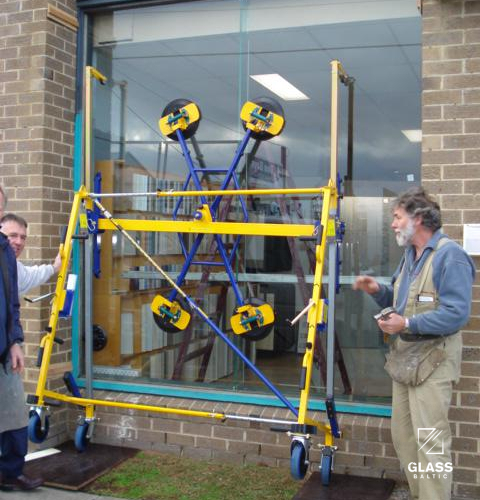 Window Transporter - two adjustable cleats easily attach to the NOMAD 400 allowing two people to lift, transport and install a glazed unit on-site. 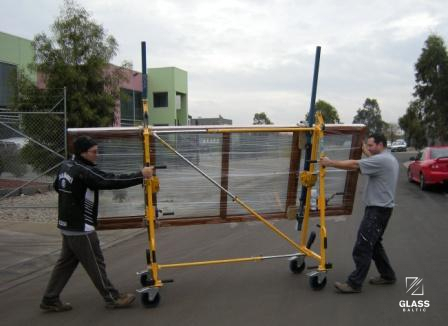 The large 280 mm all terrain wheels allow the NOMAD 400 to transport the window over difficult terrain. 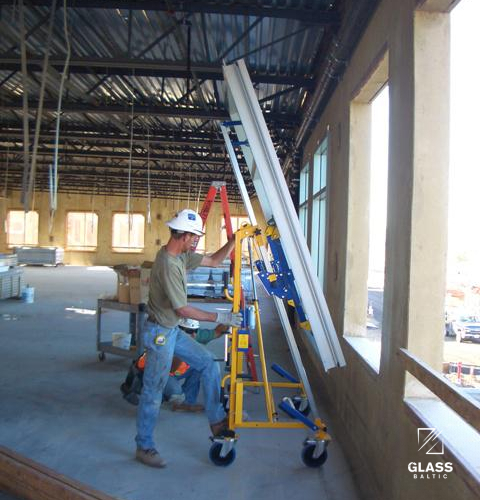 U Channels - the Nomad U Channels allow the NOMAD 400 to safely transport heavy plates of glass over small steps and soft uneven grounds, commonly seen on construction sites.